Frederic Lee Klein has wide-ranging experience in energy, water and utility matters, including sustainable and renewable energy development of distributed generation (DG), cogeneration, combined heat and power (CHP), fuel cells and solar energy; regulation of electric, natural gas and water companies; mergers and acquisitions; permitting and land use; customer matters; complex transactions and competitive energy procurement for large energy intensive industries. Fred chairs the Energy and Utilities Section of the firm's Regulatory, Energy and Telecommunications Department. Fred has advised and represented regulated and unregulated companies before more than a dozen state and federal regulatory commissions, district and appellate courts, and also has represented clients on numerous complex energy transactions and development projects. He has litigated cases involving regulation of electric utilities, natural gas distribution companies and pipelines, as well as water companies. 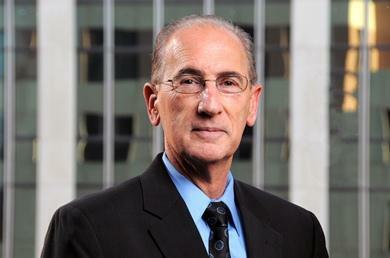 In addition, Fred has advised clients on antitrust matters and issues of utility regulation. He has provided legislative support on energy and water related issues in various states and has negotiated and drafted numerous power purchase and sale agreements, host agreements and general contract templates for both buyers and sellers of electricity, natural gas and renewable energy products. Fred also has represented competitive energy marketers throughout the Northeast with respect to licensing and regulatory issues, as well as wholesale and retail customers in contract negotiation and drafting. With a background in engineering, business and law, Fred has more than 30 years of experience in the energy, water and utility industries. He has been a regulator, a consumer advocate and has represented utilities and other industries in regulatory and transactional matters, as well as in the development of energy and water projects. After graduating with a degree with honors in Power Systems Engineering, Fred began his career as a utility engineer. Later, after receiving his law degree, he practiced with the Federal Energy Regulatory Commission and a Washington D.C. law firm before becoming Assistant General Counsel and Chief Regulatory Counsel at Northeast Utilities (now Eversource). He is frequent speaker at energy and water conferences and seminars.